Essay Dune is one of those writing solution websites that seems to have it all. Users are welcomed with a simple, seemingly well-designed website that provides help to students or any individual looking for a solution to their writing related problems. Unfortunately, EssayDune is far from this. If you’re still interested in using the site, you can receive a measly 5% discount for your first order over $500 or 10% if your order is over $1000. We don’t blame you if you feel like trying elsewhere as there are much more affordable and comprehensive writing solution companies on the market. When browsing the website, you’ll immediately notice the lack of services, especially when compared to writing solution sites of a similar caliber. By visiting the About Us page, you’ll notice on the right-hand side there are only five solutions available. When trying to make an order on the site, you first have to input your personal information, including cell number, before choosing your paper and will only get a quote after this has been completed. 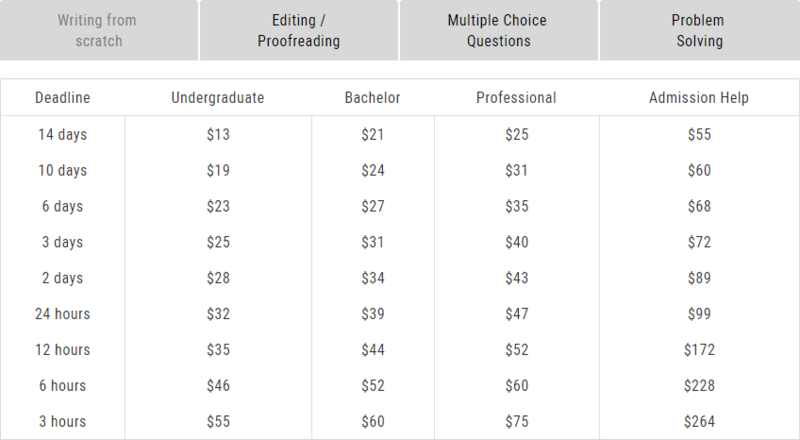 There is a rough price sheet available but none of these prices reflect the more expensive final quote. Having made and received our test order, we ran a plagiarism check which returned a 41% match to other articles online. We also requested the article to be written in UK English but the article we received was written in US English and obviously wasn’t written by someone with that as their first language. We visited the Contact Page to make a complaint on our findings in which we were told to email the address shown. In short, we’re still waiting for a response. As you can see, Essaydune.com isn’t the writing solution it should be. If you’re still interested in using the site, you can receive a measly 5% discount for your first order over $500 or 10% if your order is over $1000. We don’t blame you if you feel like trying elsewhere as there are much more affordable and comprehensive writing solution companies on the market.